Word of the proposed rule, in the works since 2007, came three days after a coalition of trucking stakeholders announced they would challenge the validity of the rulemaking because it would “ignore the clear mandates of the FAST Act [the recently passed highway bill]” by incorporating] current on-road safety performance data. A carrier that is determined to be unfit would be required to either improve its operations or cease operations. The agency also said the proposal would permit FMCSA to assess the safety fitness of approximately 75,000 companies a month. By comparison, it is now only able to investigate 15,000 motor carriers annually– with less than half of those companies receiving a safety rating. “The proposed rule further incorporates rigorous data sufficiency standards and would require that a significant pattern of non-compliance be documented in order for a carrier to fail a BASIC,” FMCSA stated. FMCSA said that failure of a BASIC based on either crash data or compliance with drug and alcohol requirements would only occur following a comprehensive investigation. The agency estimates that under the proposed rule, less than 300 carriers each year would be proposed as “unfit” solely as a result of on-road safety violations. FMCSA said its analysis has shown that carriers identified through this on-road safety data have crash rates of almost four times the national average. 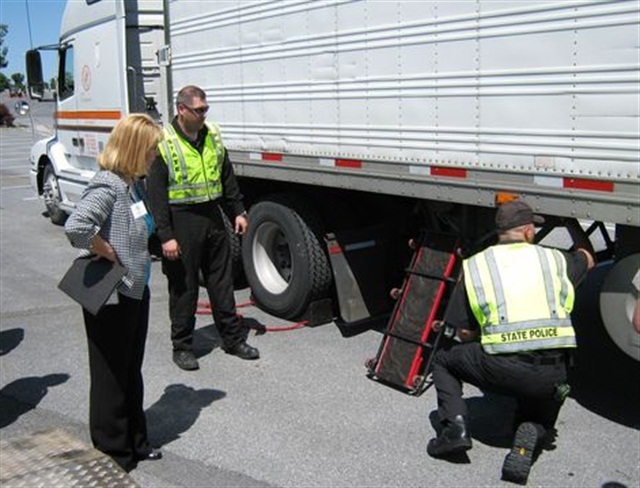 FMCSA will publish the Safety Fitness Determination NPRM in the Federal Register on Jan. 21. The proposal will be available at www.regulations.gov at docket number FMCSA-2015-0001. Initial comments will be due March 31, 2016, and response comments will be accepted for an additional 30 days.